After my last trip, I decided it was time to get a real luggage system before the next trip. The home-made version worked for the time being but it wouldn’t last a year on the road. I looked at a couple of luggage systems and I really like the Giant Loop bag but it was WAY out of my price range. I even tried to make my own version of the Giant Loop bag using fireman pants but did not have a sewing machine that can handle the thick materials that is made of. 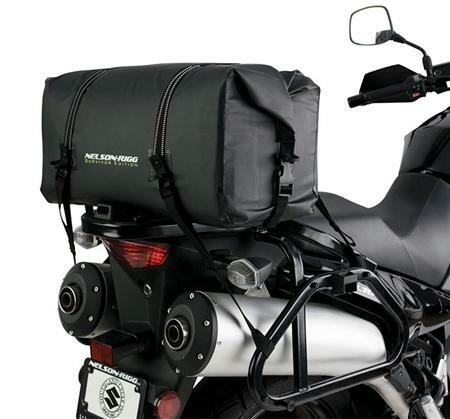 So I decided to purchase the Nelson-Rigg USA Adventure Dry Bag and saddlebag Survivor Edition for a couple of reason. One is the price; the total combined cost me around $250.00 for both. Secondly, it designed like a dry sack bag used in backpacking. This way I didn’t have to put everything in a dry sack bag before putting it in a luggage. Thirdly, the saddle bag is a soft pack. 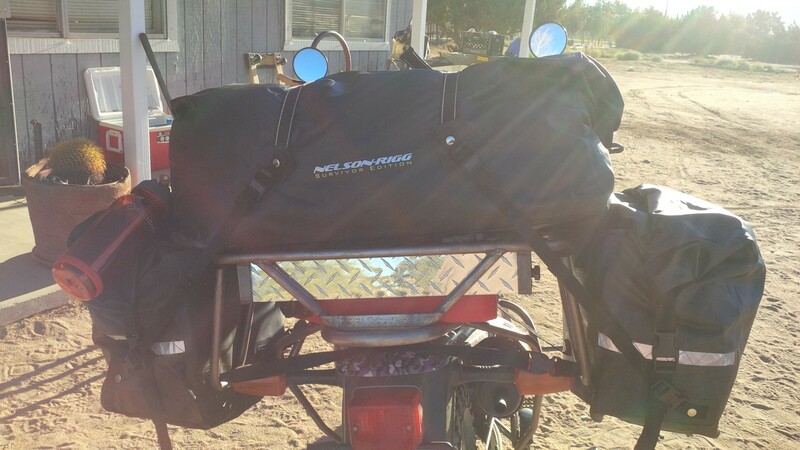 I was worried about getting a hard case panniers system in case I drop the bike and it would crush my legs. So far, I haven’t regretted purchasing it, it was easy to put it on the bike and hook it together. Also, it is holding all of my stuff needed for this trip to Horizon Unlimited event in Yosemite. 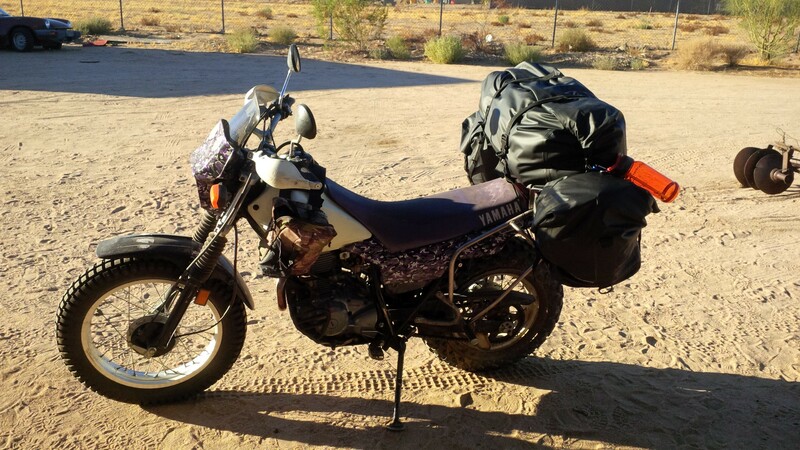 Here is what it looks like set up on my TW200 bike. I will post when I get back as to how it handled on the road. Easy to use, easy to pack, easy to install…those are the keys, whatever the cost! They look good! It worked out well during this trip..will post later about it. Looks GREAT! 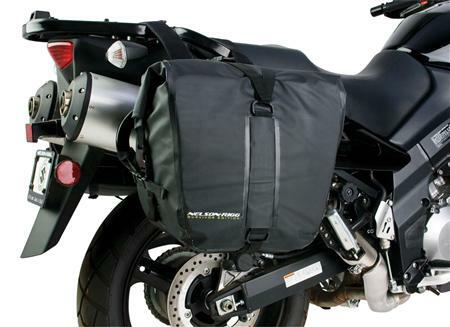 I agree about the soft bags not crushing you PLUS they yield much better when the bike is dropped. Just make sure any breakable things are in the top bag. Good advice I will definitely keep that in mind.